EastEnders fans are set to see the Mitchells in a terrifying race against time later this month. The BBC has just released photos from an upcoming episode where the Mitchells' "dodgy dealings" finally catch up with them. Teasing the dramatic storyline, the BBC soap says: "The Mitchells are in store for a rough ride when past dodgy dealings catch up with them. 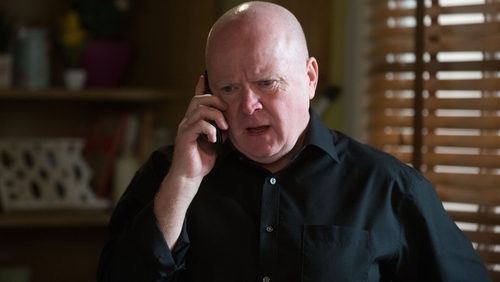 "Having failed his one job to protect Louise, Keanu desperately calls Phil - who is furious to hear Louise has been kidnapped. "As Ben and Keanu set off to find Louise, it's a race against time to bring her back to safety..."
Fans can find out what happens next in the episode airing on Monday, April 22.